You can’t climb a mountain in a big leap. It takes a lot of steps and you take those steps one at a time. Mt. Hood today, where the family and a friend went sledding. Like climbing a mountain, resolutions are kept one day at a time. If you want to lose weight, you only need to eat less today. Think about that. Eat less today and you’ll lose weight. Tomorrow, eat less. The next day, eat less. Think only about eating less today. At the end of the week, you’ll have eaten less a total of seven todays. At the end of a month, you’ll have eaten less a total of 30 todays. At the end of this year, you’ll have eaten less a total of 365 todays. Think you’ll have lost some weight? Yup. Every resolution is kept by doing something specific today. Every resolution is kept one day at a time. If your resolutions include giving more time, give your time today. If you want to help someone, help them today. If you be more kind, be more kind today. Every step gets you closer to the mountain top. 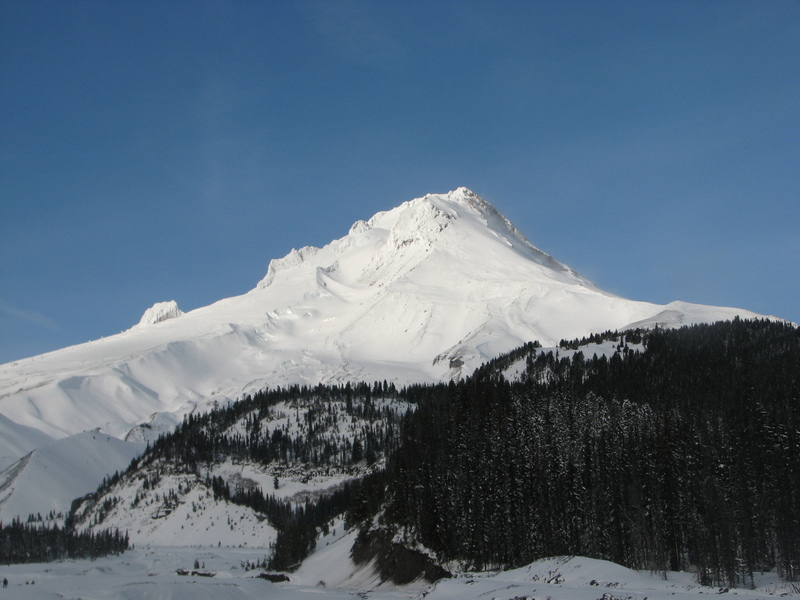 This entry was posted in Around the House and tagged do it today, mt hood, one day at a time, postaday2012, resolutions, sledding, today. Bookmark the permalink.